We have already written about GIR’s new ash wood collection, and talked about it in detail with Bojan Radovic, but now we present the people that started the creative thought process and who were directly involved in creating the pieces that established GIR as a young and unique brand of furniture which comes from Serbia. 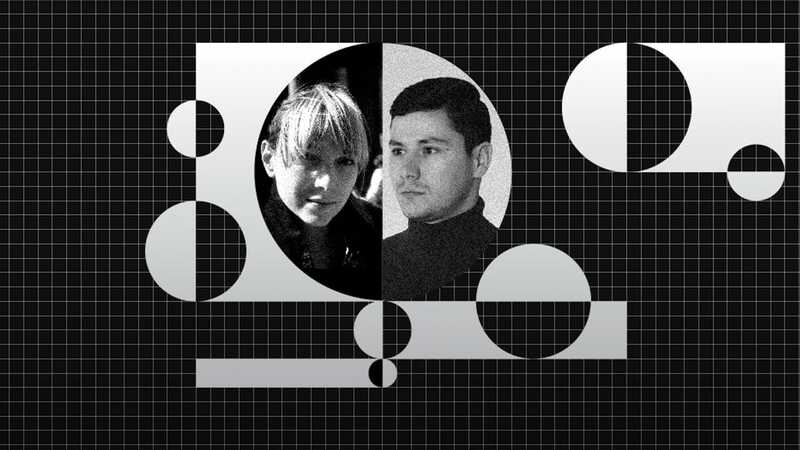 In this, first of the three interviews, we present to you Marko Oljača – the designer of the 202 table, and Miljana Nikolić – the author of the Catapult swing. We asked them a few questions about their work process, industrial design and materials, and they had a few things to add, asking one question to each other. My name is Marko Oljača. I was born in 1991, in Novi Sad, Serbia. I specialized in architecture and product design, and I’m currently a student of the final year at the Faculty of Technical Sciences, Department of Architecture and Urban Planning. Since 2010, I’m mostly focused on product design and I’ve received several prizes at various contests in Southeast Europe. At the Mixer festival in Belgrade, I’ve won four awards for two of my products, and these awards were given by Young Balkan Designers in association with the Mikser festival in the category “New product” for Mikser Design Label. I’ve entered Belgrade Design Week with a product named KSL lamp, which was ranked among the top three designs, and that will later show as a turning point in my work. After that specific project, I started collaborating with a local furniture manufacturer, while I continued to develop other projects as a freelance designer. During my third year at the university, I made a project for a residential building in Novi Sad, a project that later resulted in a contract, development and sponsorship from a private investor. Maša: If I am not mistaken, you are the youngest designer associate in this collection. Is this the first time you are working with GIR? Marko: I am the youngest designer who was given the opportunity to turn an idea into something physical, and it’s a big opportunity for me. I think that the time will show the real scope of it. Yes, this is the first time I got to work for GIR, in fact, it’s the first time I am working for a company that is making a new brand. For that precise reason, at the very beginning it was all rather abstract for me. I think that if the work allows a time for abstract thinking it will show quality at the end of the process. This collaboration, above everything else, is marked with a fresh energy that originates from the young people that represent GIR. Maša: What compromises are you willing to make as someone who deals in industrial design, and which ones you are not willing to make? One could say that the design is made with a series of compromises considering that this is a branch of industry whose product will be looked at, and it also has to be functional. The glue in the symbiosis of beauty and functionality is compromise, so I’m willing to make every compromise that connects those two components. After that I received a suggestion that the leg of the table should be redesigned, and at that moment I felt like I was starting all over again. 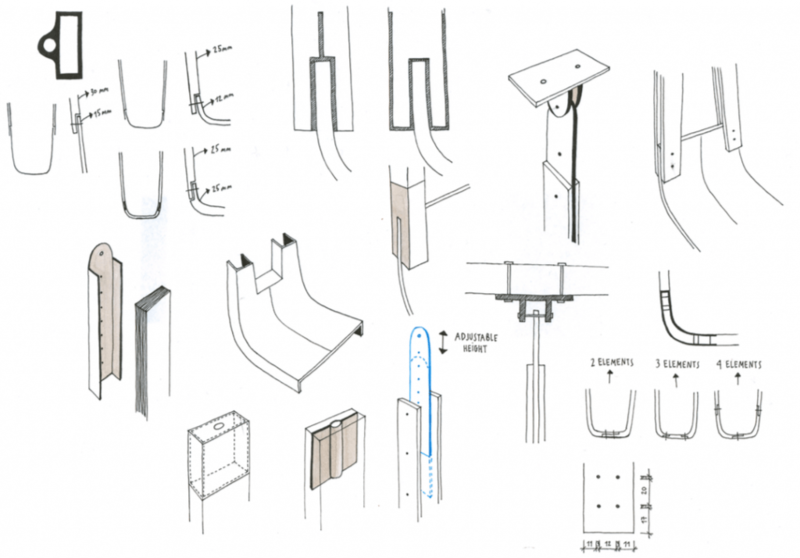 Maša: What is the difference between designing on paper and the approach when you know that your product/piece of furniture will be multiplied and put to use? Marko: I design in my thoughts. The sketch is the result of a bunch of thoughts and visualizations. I don’t believe in an empty paper, hand and a pencil, for me it’s drawing by heart, a sketch without an idea. I think that the idea is the basis of every beginning and that it is created in a system of logic, and that a sketch is needed only for the process of developing the idea that already existed. There’s no difference in the approach when I am aware that the product will be multiplied and used. All that I have ever drawn, I drew with an idea that it will one day become a product, and even though it’s impossible that every draft end in that way, it was definitely good for building character. Maša: Describe for us your work process for the design that will be a part of GIR collection. Marko: After I had read the brief I received from GIR, I’ve read it another ten times. After that I contemplated about the motifs that surround us, motifs that constitute who we are, because one of the major inputs was to draw the inspiration from our surroundings. 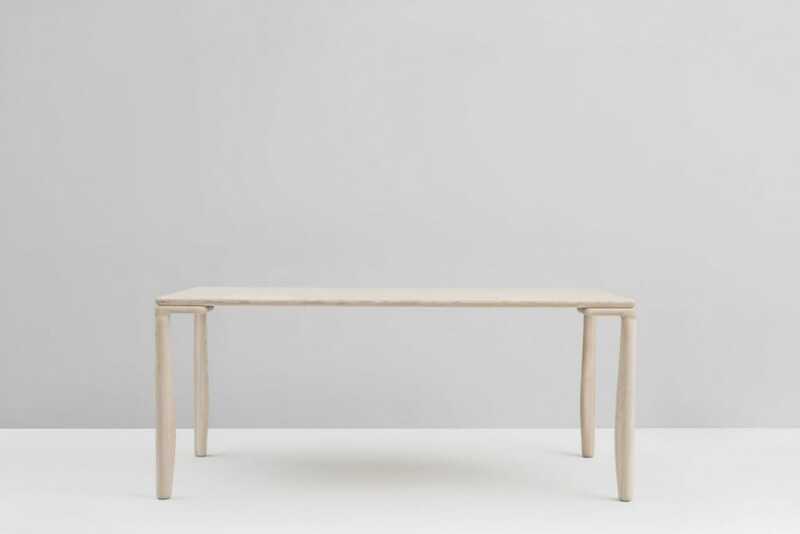 Inspiration for the 202 dining table I found in the natural treasure Djavolja Varos from which I drew a detail which then I put in the design of the table. 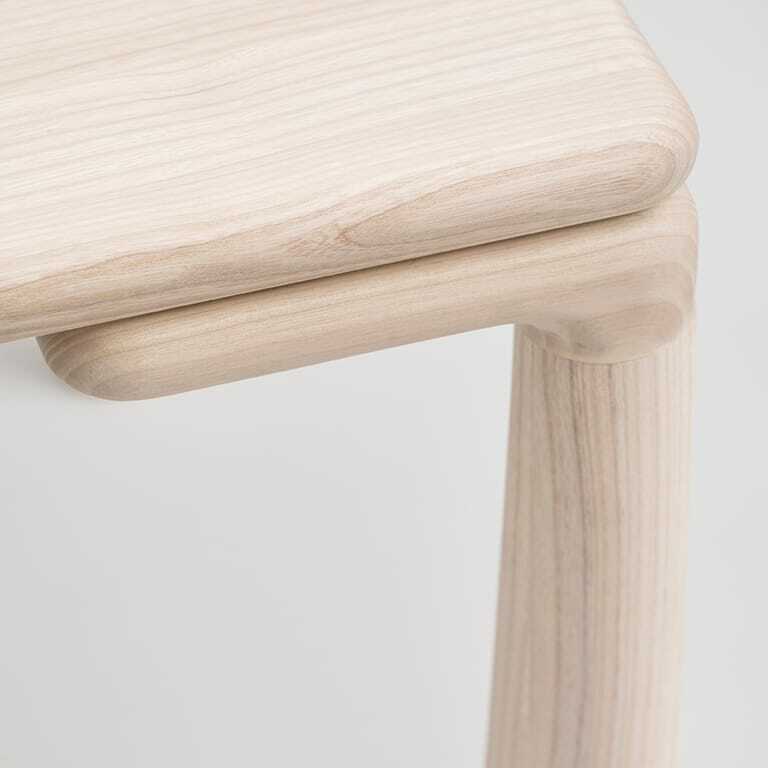 This detail can be seen in the joint between the leg and the board of the table. It is a Paleolithic motif of the joint between the rock and the earthy pillar. After the idea was approved by GIR, a team of engineers headed by Vladimir Jakovljevic did the technical solution for the structure. Afterwards, the process of manufacturing the prototype and evaluating the achievement in relation to the project started. After that I received a suggestion that the leg of the table should be redesigned, and at that moment I felt like I was starting all over again. Three months went by before I came up with the idea for which I thought that it will be good to implement in the already existing design. In the conversation with Bojan we came to a mutual solution and the decision as to which of the variations we should choose and apply to the final product. I also think we had a little bit of luck, we understood each other well in regard to the goal we want to achieve. Maša: What do you appreciate the most in the work of other designers? In the work of other designers the thing that I value the most is what kind of a person creates it. Human decency has to come before the profession and interests, so I’m most intrigued by the designer’s story, and then his work afterwards. There definitely are a lot of great designers in the world, but for me it’s the whole package that is important. Miljana: Do you prefer working in a team or individually? I prefer working individually in a team. An idea as a concept is the result of the individual, the stuff that is cooking in his head. I think that it would be too big of a coincidence that those kinds of things coincide. On the other hand, there is no product that is a work of a single individual. The process of creating a product requires the skills of several individuals of different professions. After graduating from the Faculty of Architecture of the University of Belgrade, she was hired as an assistant professor at the Faculty of Forestry at the department for projecting in the field of interior design and furniture. Within the faculty, she is involved as a co-mentor in a series of student workshops, contests and exhibitions – among others, there are the projects of Ksiloteka (Award in the category Experiment at the 35th Architecture Fair, Special award at the 50th International Fair of Furniture, Equipment and Interior decoration) and the student pavilion (ULUPUDS Plaque in the category of Design of the systemic solution at the 49th International Fair of Furniture, Equipment and Interior decoration). At the same time, she is specializing at the international workshops – Aalto University Helsinki Summer School, Domaine de Boisbuchet Vitra Design Museum Summer Workshops – and she is participating in the contest for the Strawberry tree solar charger (shortlisted). With her chair and swing project she is a part of the exhibition of Young Serbian Designers (2010) and Young Balkan Designers (2011) platform organized by Mixer in the Salone Sattelite in Milano, as well as the exhibitions in Budapest, Zagreb, Skopje, Paris, Brussels and Sofia. Since 2013 she has been living and working in London as an architect and a designer for Studio Mackereth, multidisciplinary designer bureau that focuses on luxury residential and business objects, interior and furniture. She is in charge of the series of projects made with the cooperation of Scottish whiskey maker Royal Salute – Neolithic bar for Wallpaper* Handmade exhibition at the Salone del Mobile in Milano 2015; the Age Collection of a limited series of plinths; The Vault salon in Seoul as well as for a series of architectural projects in the prestigious locations in London (Westminster, Kensington and Chelsea). Catapult is a project of the swing initially set as a part of the Young Balkan Designers contest which was initiated by the Mixer platform. The swing, along with 10 other pieces of authors from the region, was chosen to be presented at the Salone Satellite in Milano in April of 2011. 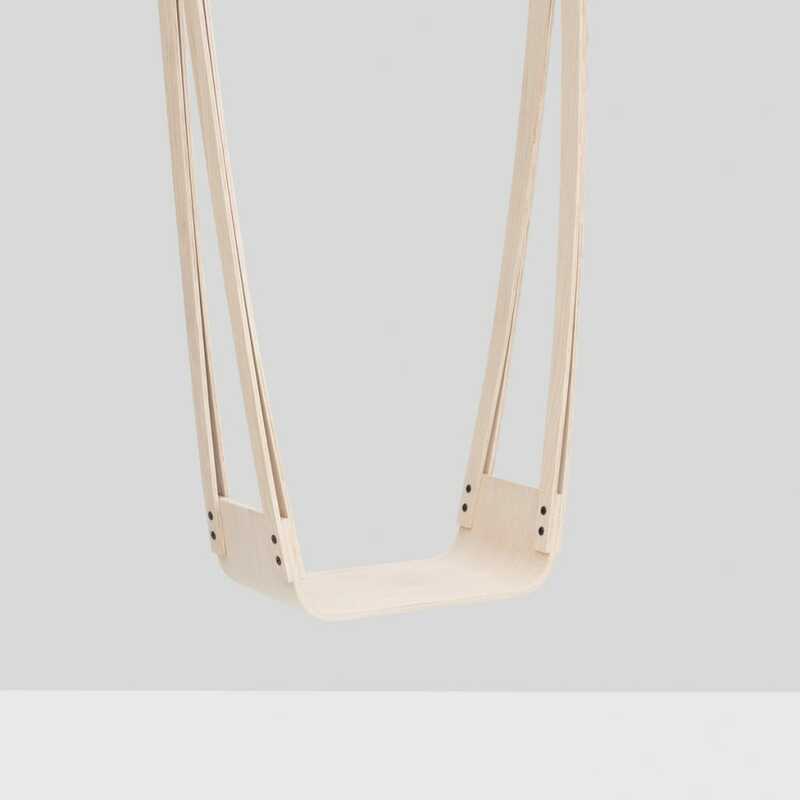 Catapult is a swing with a seat and plywood girders meant primarily for indoor use and relaxation, rest and active work in residential or a business environment. Swings that are made for indoor use, usually in a form of a divan or an armchair, don’t give the option of swinging as an active and dynamic action. On the other hand, swings in parks, which are usually meant for children, are not that comfortable and don’t have the function of easy rocking and relaxation, which is very important for adults. Catapult swing is small enough to be used in the interior, but it’s also big enough to provide comfort; it allows the user to be active, but also to rest and relax; it brings about the joy of childhood and the functionality that older users need. Length of the swing can be modified and adjusted to suit different room heights, and all the parts are prefabricated. Maša: The swing which you present as a part of the GIR collection was first presented as early as 2011 at the Young Balkan Designers contest. 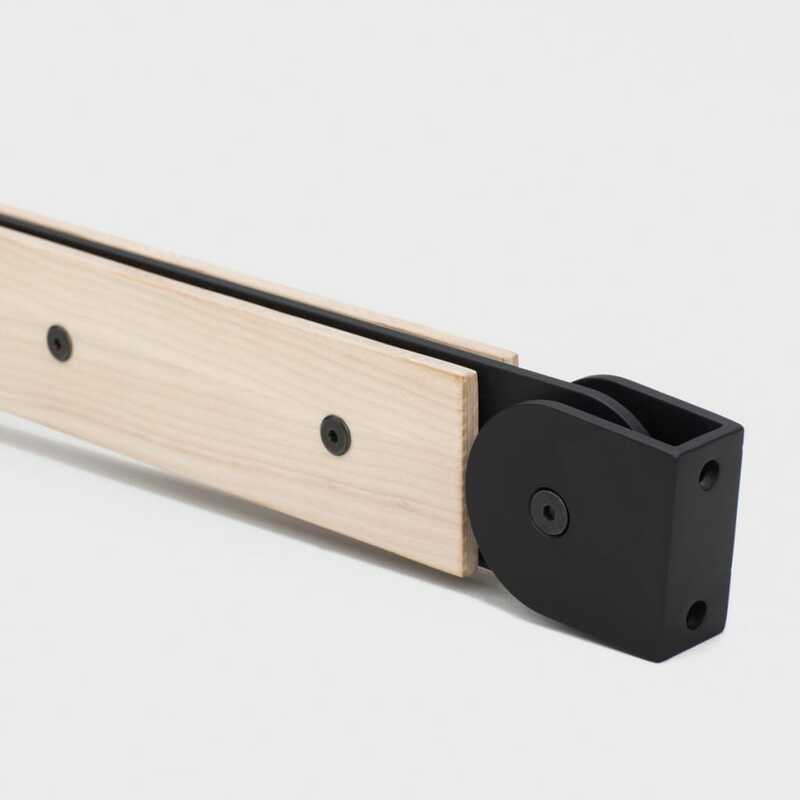 What makes this process of transition from an innovative, unique designer piece up to mass production? Miljana: My generation had the fortune that the platform such as Young Balkan Designers existed and promoted and supported our work. It started the process, but we always waited for the manufacturer who will have the same enthusiasm and the belief and who will recognize the potential. Competition has also helped from the aspect of promotion, because the product was, sort of, already tested with the audience. 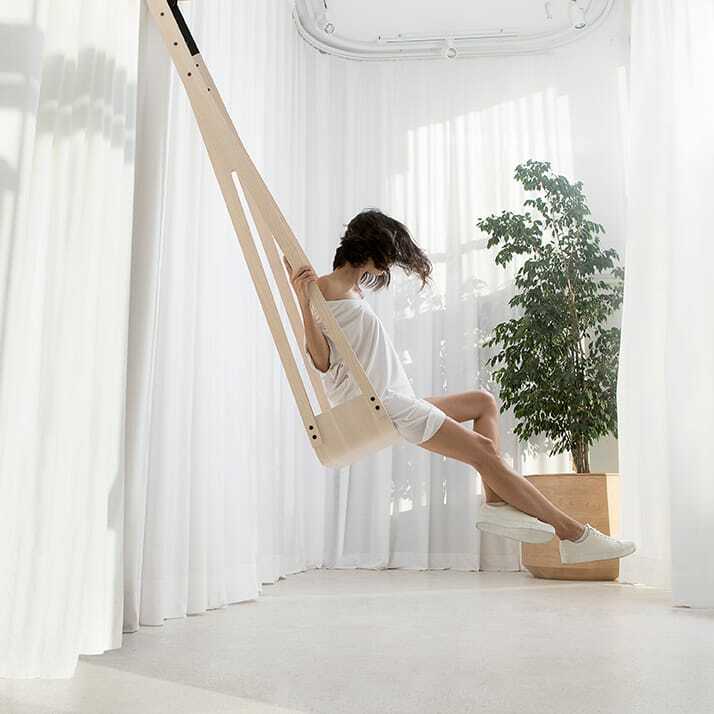 It was also significant that the swing was exhibited at the beautiful interiors of the Authors studio (Terra Panonica Objekat A, Catena Media Office), because it is much easier to give a breath of life to a product when the buyer doesn’t have to imagine it in the interior, surrounded with other pieces. 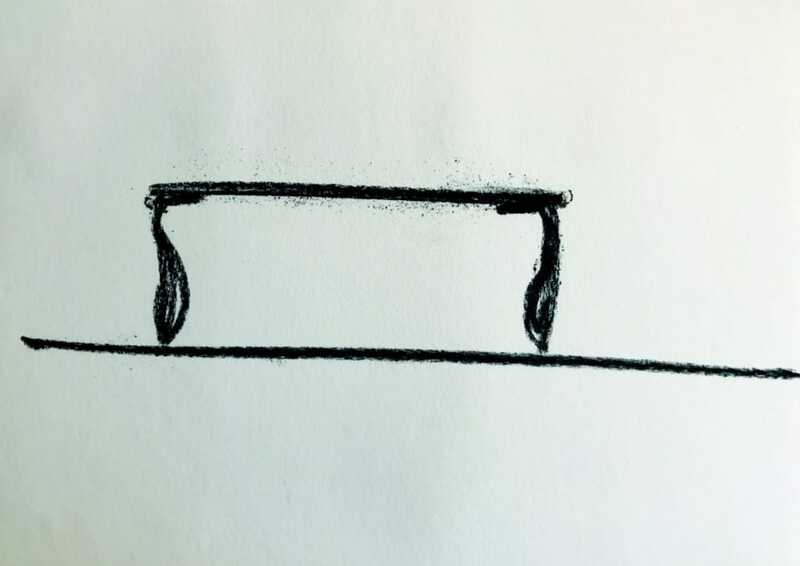 The fact that five years had passed since the swing was created up to the point when GIR included it in the collection is an evidence of nonlinearity and unpredictability of this process. 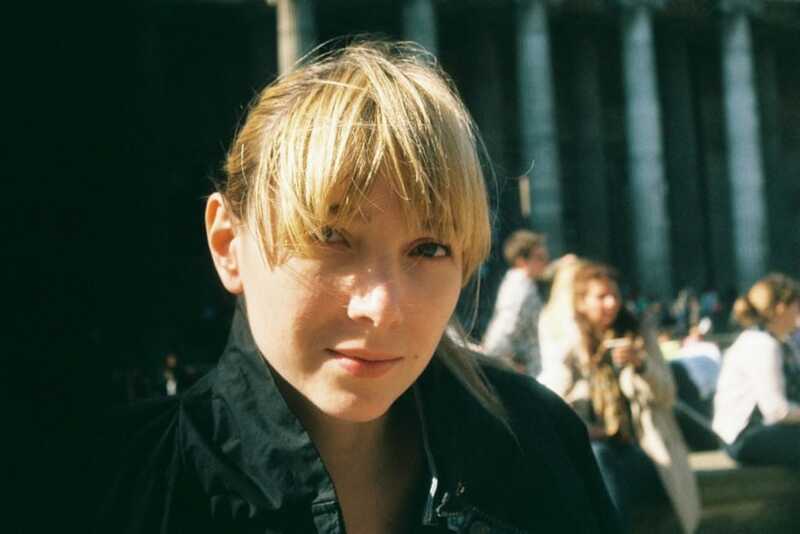 Maša: What’s the biggest challenge in the contemporary furniture design? Miljana: As an architect I spend more time contemplating the space and I do not deal with the same challenges as “regular” furniture designers do. The key to furniture to design is to find your own expression and your place on the market which is often too satiated, and in the example of successful global furniture manufacturers one can see how much they invest in development and promotion in order to stay relevant. In London, where the designer scene is very developed, designers rely on the products that are easy to put out and sell – office material and decorative items – or they are working concurrently as interior designers in order to create the market to which they can directly place their product. The inspiration is often very abstract – my attention is drawn to a material, shape, color, mechanism, detail or a process, and then they become a starting point and initiate the contemplating about a potential product. Maša: What does it mean for you to be a part of GIR collection/brand? Miljana: To be a part of a successful high-quality brand, apart from the obvious practical advantages, is also a huge incentive – when someone who obviously values design and who gives utmost importance not only to the quality of production but also for the presentation of the product, wants to work with you, that is enormously significant. 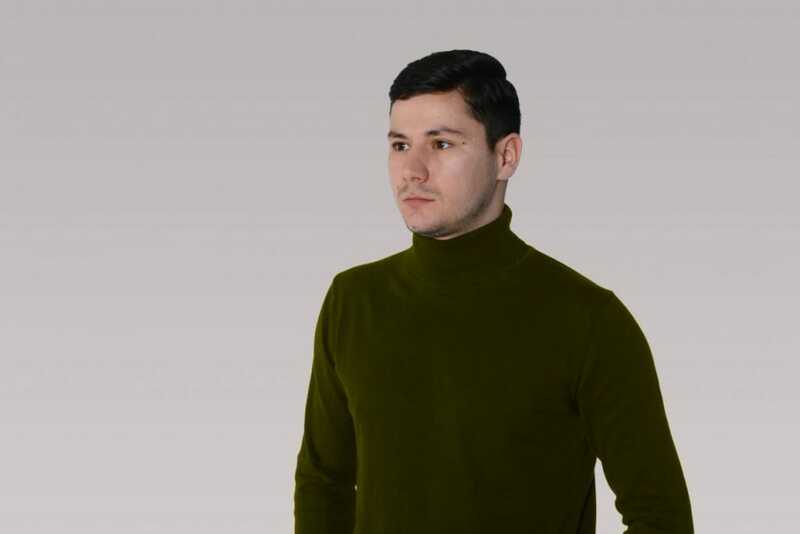 The fact that Bojan recognized the potential of Serbian designers and decided to invest the time and the resources in creating GIR collection, and to also include the swing in that collection is, considering these conditions of ours, almost impossible – I hope that this decision and vision will encourage and inspire many others. 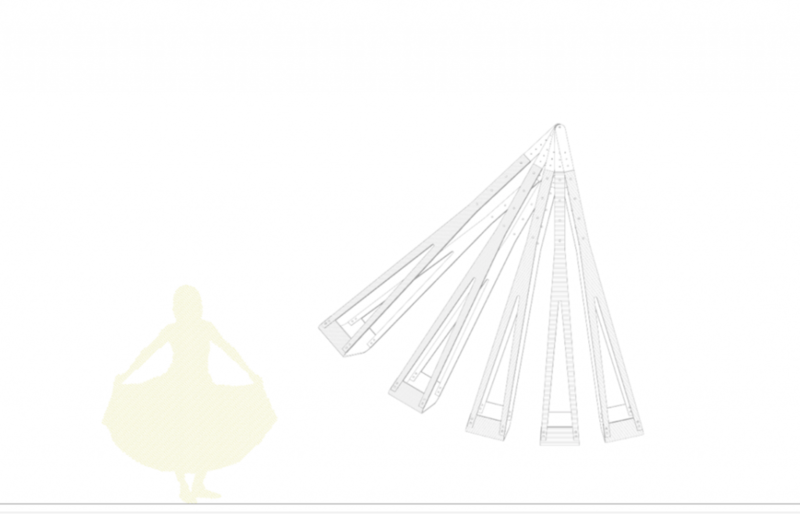 Maša: In what way you choose objects that move you as a designer? Where does the reinventing of an item actually start? Miljana: It depends. The inspiration is often very abstract – my attention is drawn to a material, shape, color, mechanism, detail or a process, and then they become a starting point and initiate the contemplating about a potential product. Architects and designers are obsessed with geometrical motifs – rhythm, proportion, and balance of the elements – so the inspiration often comes from the field of arts – from the sculptor which are “architectonic” – Richard Serra or Donald Judd for instance – the proportion fascinates me, materialization. Sometimes the challenge is much more tangible. When making projects of objects or interiors, we often find ourselves working even on the pieces of furniture specially intended for these spaces and later they start a life of their own outside of the projects and in that case the interior sets the conditions. Maša: What would you like to design that you haven’t had the opportunity to do so far? Miljana: My own house; from scratch to finish, from the façade and the garden to the furniture, lighting and textile. It would probably take years and would be detrimental to my marriage… J Yet I’m sure that most architects share that dream; to be completely in control of the process of making the project and not have to make any compromises. Marko: In which moment while you create new value does a smile pop up on your face? Miljana: I’m rather grumpy at the beginning. In that point in time when you have a vague idea about what you want to achieve and when, no matter how many times you went through the same process of creation and agony, you always think you will never come out on top and that you are on the wrong track. An idea is very hard to crystallize and even harder to realize and I usually relax and enjoy the process when I get to a moment when I know I’m on the right path, when I solve the problem that I have made myself. 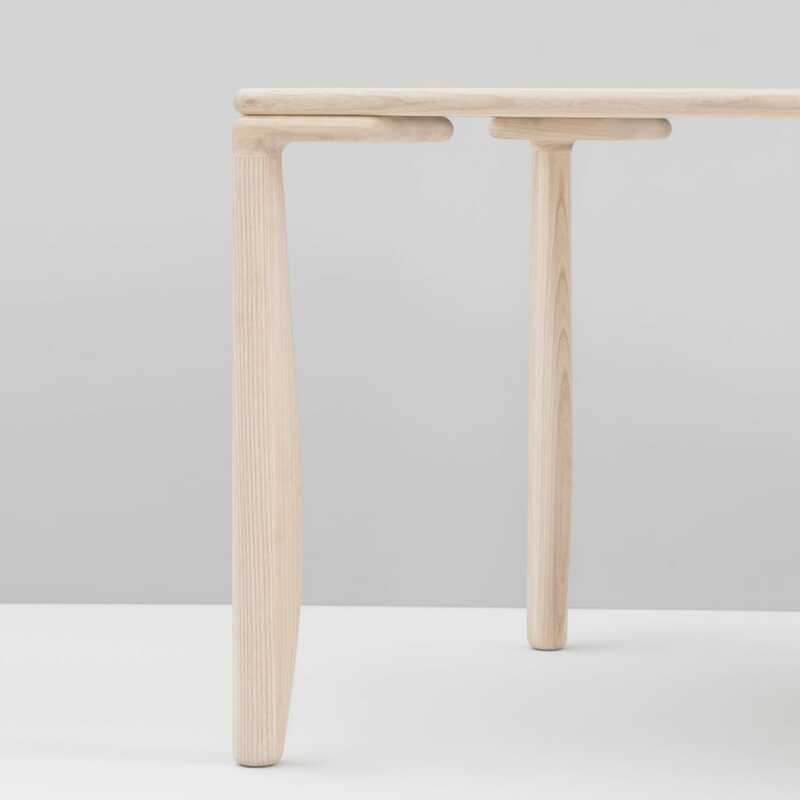 The 202 table and Catapult swing are part of the new GIR collection of ash furniture, which was premiered at the 55th Furniture Fair in Belgrade. GIR collection furniture is available at GIR Store,Tresnjinog cveta 5. Visit us!